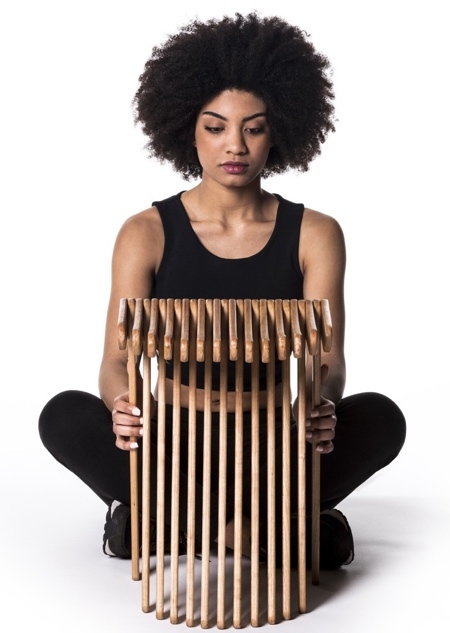 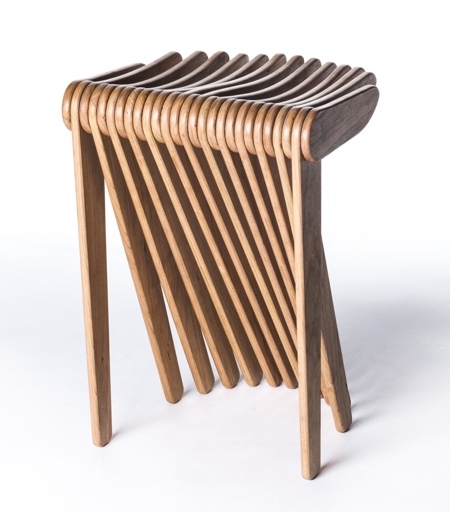 Lightweight chair made out of 27 interlocked wooden elements and hinges. 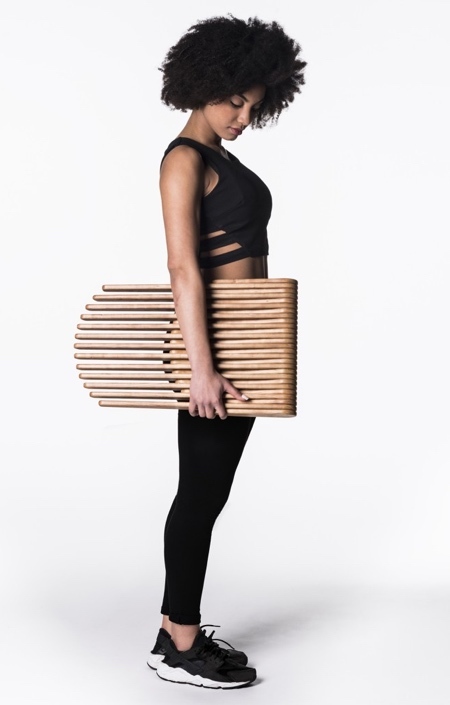 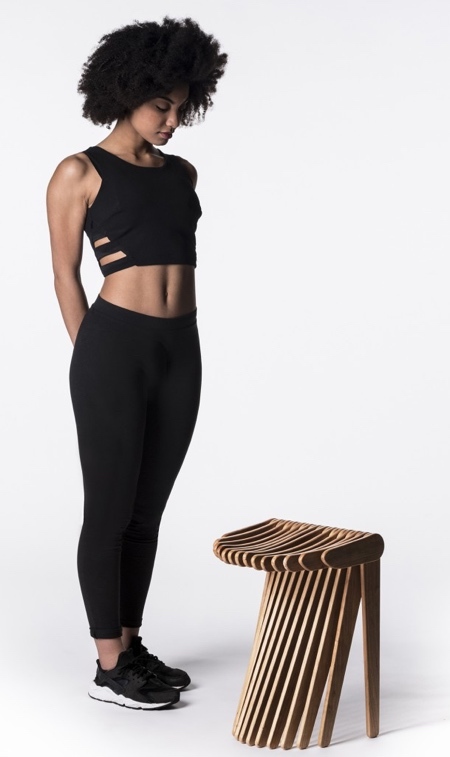 “SWISH” wooden stool can be folded flat in just a few seconds. 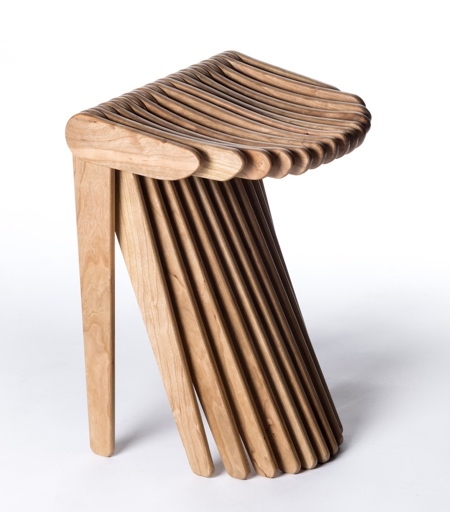 Designed by Carlo Ratti Associati for Cassina.